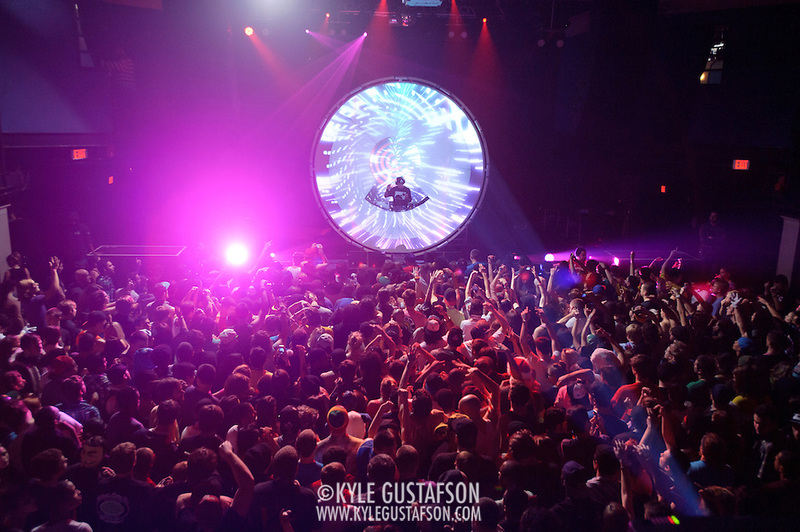 After taking 2 weeks off at the beginning of January, I eased back into shooting shows in the new year with this Datsik gig at the 9:30 Club. I never know what to expect at EDM shows as far as the conditions go. Lots of time we’ll get pit access but the stage set up is so large it does no good and I have to go shoot from the crowd. Luckly that was not the case for this gig. 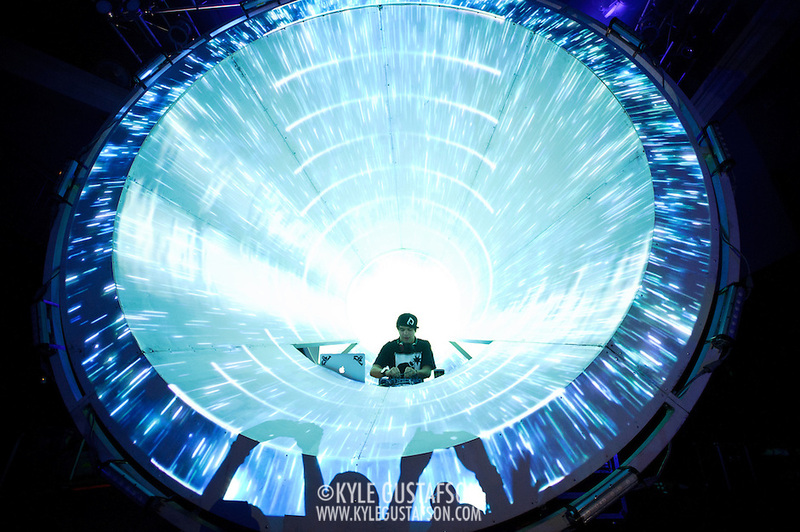 Don’t get me wrong, Datsik had a big set up, but he was situated so that I could still shoot him. I had bought a new lens, a 17-35mm/2.8 and was eager to give it a try and this turned out to be a great gig for it. 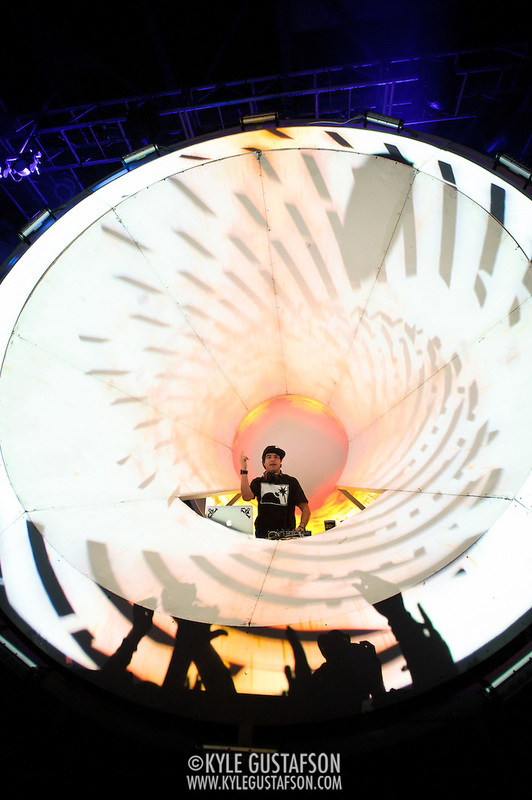 Datsik was positioned inside a large cone on the stage which lit up as he DJ’ed. My new, ultra-wide lens let me get the entire set up in the frame, something I wouldn’t have been able to do with my 24-70mm/2.8. 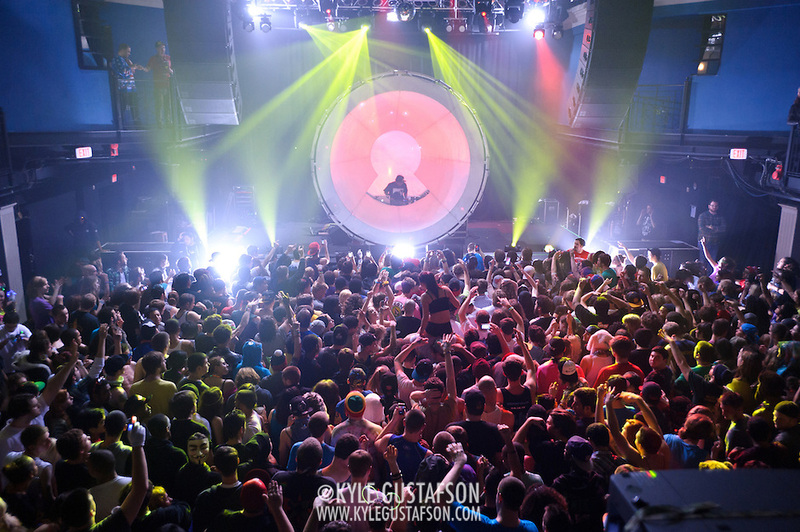 I only stayed in the pit for a bit, the bass was rattling my insides and I moved upstairs to get a different POV. Overall the lights for this gig were pretty good and one of the shots ended up getting picked up on Rollingstone.com. Pretty cool.